CopernicoDrin is a device created for schools than can manage the bells of a school through the internet. 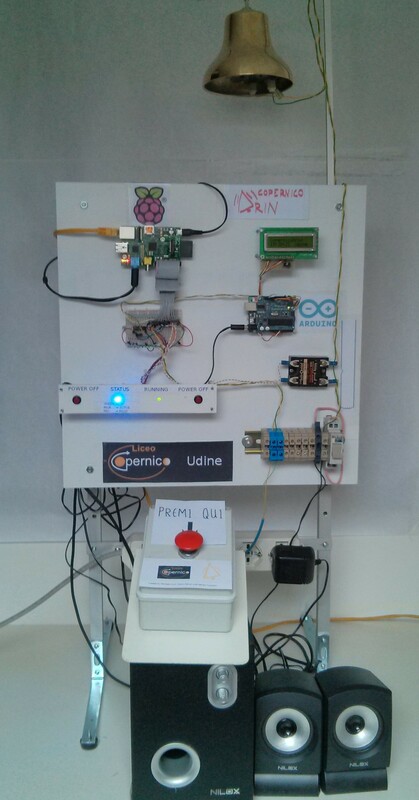 It is based on a RaspberryPi and has several advantages over traditional bell control systems; it can be connected either to a regular bell or to a loudspeaker; it is very accurate, in fact the internal clock is synchronized with an atomic clock via NTP; it has a button to manually ring the bell even when it is not scheduled; it has a user friendly interface that is password protected that allows even an inexperienced user to set a schedule. 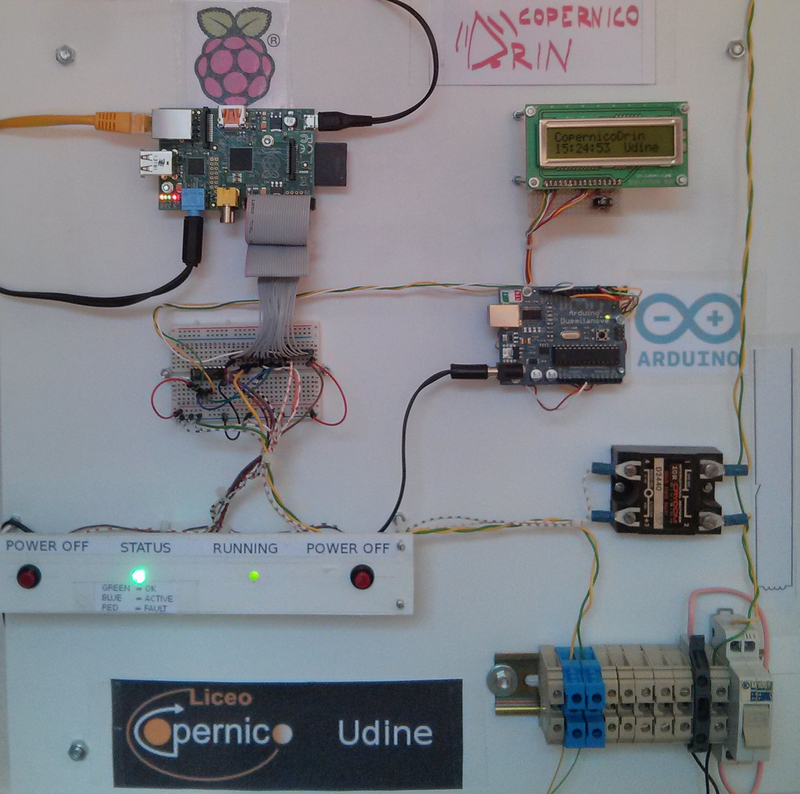 To set up a CopernicoDrin system you have just to connect a loudspeaker or the classic school bell to the RaspberryPi and you are ready! Optionally an LCD can be connected to the RaspberryPi to display the time. To connect a regular bell to the system, a solid state relay is necessary, while an externally powered speaker can be connected without additional hardware to the 3.5mm jack of the RaspberryPi. Using a single software for all the bells, the managing becomes very easy: all the school bells will ring at the same time and in a few seconds you will be able to change the timetable. The software is very versatile and can plan different timetables: daily, weekly, monthly or whatever. The device is “environmentally friendly” as it needs only 2W.